About three years ago, in 2015, when I was in my computer engineering career, I began to be curious about the static analysis of source code. As I did not know much about the subject, I decided to investigate the main parts of which an analyzer is composed. After searching through the internet, I finished reading from start to finish the Dragon Book, a book from which I learned a lot. After reading this book, I realized that the construction of a static analyzer is very similar to the first half of construction of a compiler, mainly because it is much simpler and efficient to traverse the code in an intermediate representation like an AST (Abstract Syntax Tree) or a CFG (Control Flow Graph) that traverse it in its high-level representation. Taking advantage of the effort that I invested in understanding the construction phases of an analyzer and a compiler, I decided to dedicate my career final project to the construction of a static source code analyzer for the C programming language with the aim of finding vulnerabilities in the code. I managed to complete the tool written in Python, and for those who are interested, here I will talk a little about source code static analysis and the intermediate representations that facilitate it. 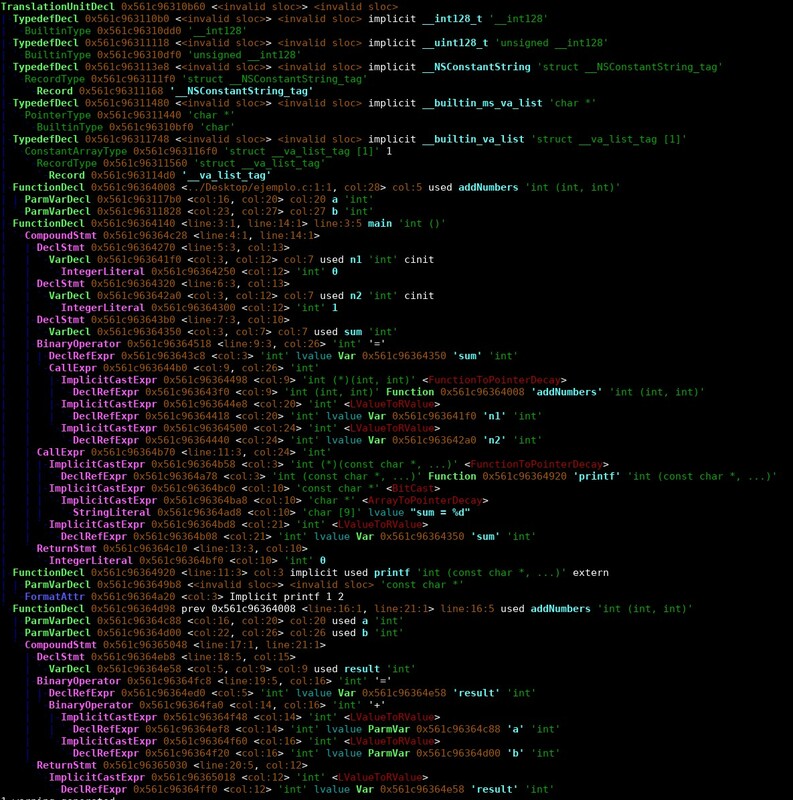 Construction of a lexical analyzer that reads the string of characters that forms the source code and groups them into lexemes. Construction of a syntactic analyzer or parser that uses the lexemes produced in the previous phase to build a parse-tree. Construction of a semantic analyzer that uses the previously produced representation to analyze the program in search of inconsistencies and perform type resolution. Construction of an intermediate representation. 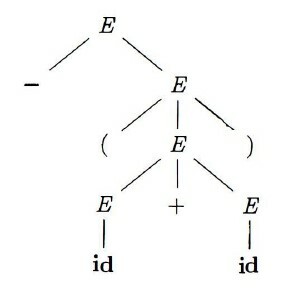 In this case construction of an Abstract Syntax Tree (AST). Construction of a suitable representation for the analysis. In this case construction of a Control Flow Graph (CFG). Construction of a representation of calls between functions. In this case construction of a Call Graph (CG). Construction of an analysis module. As you can see, they are a lot of components, and when we talk about developing these components for a programming language that has a grammar like that of C, it becomes anything but easy. The construction of the intermediate representation that the static analysis algorithms will use as input. The analysis module itself that will implement these algorithms and will provide the results. In this post, I will focus only on the first group, the construction of an intermediate representation from the source code. An intermediate representation of the source code, such as the AST, CFG or CG, can be used for many more things than for the construction of a static source code analyzer. It can be used to make a compiler, a code generator or, for example, a source code syntax checker. As I mentioned before, the construction of all these components for a programming language like C, which has a relatively complex grammar, is not trivial, and since we have a finite time in our lives, I decided to investigate to see what components had already been made in Python that I could reuse for my system. One of the first things I discovered after a lot of searching the web, is that I could skip the construction of the first four components of the list (lexical analyzer, parser, semantic analyzer and AST) thanks to Clang, libclang and their Python bindings. At this point, we will stop a few minutes and explain what each of these concepts are. Some are complex to explain, so I accompany the explanation with some images or diagrams that I found online or in different books. That will be passed to the next module, the parser. In a very general way, the process of recognizing tokens is usually done through the construction of Transition Diagrams. A transition diagram is composed of a set of nodes called states and a set of vertices. Each state represents a condition that can occur during the process of scanning a lexeme that matches a certain pattern. The vertices are labeled with a symbol or a set of symbols. The parser uses the first component of the token produced by the lexical analyzer to construct an intermediate representation in the form of a tree that represents the grammatical structure of the token. A typical representation is a syntax tree in which the inner node represents an operation, and the children the arguments of the operation. 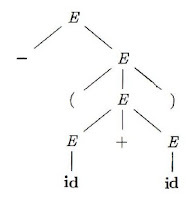 The nodes of the tree derive directly from the rules of grammar production, and therefore can introduce symbols that exist only for the purpose of making the parsing process easier or to eliminate ambiguities. Due to all this, it is convenient to build an Abstract Syntax Tree, which provides a standard version of the program that can be used for analysis. The semantic analyzer uses the information in the AST and in the symbol table to check semantic consistency in the source code and complete the content of the AST. A very important part of almost all the tools that implement this type of representations is type checking. For example, in a static analysis tool it is not necessary to report errors of type as a compiler does, but the type information remains of vital importance to determine diverse types of vulnerabilities in the code, such as integer overflows. Well, we have seen enough theory to explain all the components which are necessary for the construction of an abstract syntax tree, an intermediate representation of the source code. Now let's see in a practical way what tools we can use to carry it out. First of all, what is Clang? The goal of the Clang project is to create a new C based language front-end: C, C++, Objective C/C++, OpenCL C and others for the LLVM compiler. His Code is extremely well written, and I do not know if it will continue to be like that, but at least a few years ago, Apple used Clang for autocomplete functions in development tools such as Xcode. Second, what is the relationship between libclang and Clang? 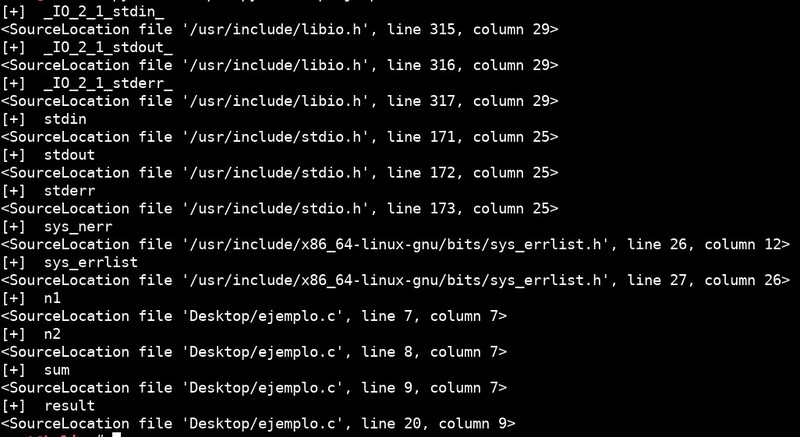 The C Interface to Clang provides a small API that exposes facilities for parsing source code in an abstract syntax tree (AST), loading already-parsed ASTs, traversing the AST, associating physical sources locations with elements within the AST, and other facilities that support Clang-based development tools. And finally, what are the python bindings? This module provides an interface to the Clang indexing library. It is a low-level interface to the indexing library which attempts to match the Clang API directly while also being "pythonic". What this means is that we can use the interface that Clang provides to generate the Abstract Syntax Tree and traverse it through Python thanks to these Python bindings. A few years ago, and I think that's still the case, the documentation for libclang and the Python bindings was practically non-existent, apart from what you could find in the source code and the self-generated Doxygen HTML. So I hope that the rest of the article will help someone to clarify a little more with this. Well, it's worth so much theory, let's get down to work and see what an AST looks like and how we can go through it with Python. Now let's see how to configure the entire environment. The installation is relatively simple and the only step that can lead to complications is locating libclang. Inside we see the definition of the rest of the elements of the function. Going through the AST is quite simple, we just have to start traversing it through the root node, the TranslationUnitDecl, and continue recursively until the end, for this we will use the Python bindings. This routine is the main entry point for the Clang C API, providing the ability to parse a source file that can be queried by other functions in the API. Finally, we obtain an object called a cursor. This object is very important, since it is a libclang abstraction that represents all types of AST nodes and provides a set of common operations. It is the way to walk the tree. We can see how we have obtained all the declarations of variables that were in the AST, some of them from other files that have been included in our example.c. In the end, we see the variables that we have defined and the position they occupy in the source code. Get_tokens: provides the tokens previously obtained by the lexical analyzer. At this point, we have built the first four parts of the analyzer and we are able to obtain an intermediate representation, specifically the AST, from the source code. We have seen with a very simple example how the fact of having the source code represented in this way facilitates the analysis of program. From here, we will use the Python bindings of libclang in a much more advanced way, and we will build from the AST that they provide, two intermediate representations that can facilitate the analysis of the source code depending on what we want to perform , the Control Flow Graph and the Call Graph. First of all, we are going to reintroduce a bit of theory and we will see what these two source code intermediate representations exactly are. Nodes: these are basic blocks and consist of a sequence of instructions that will always be executed starting with the first instruction until reaching the last, without the possibility of skipping any of the intermediate instructions. Arcs: Are directed arcs and represent the possible paths that the flow of the program between basic blocks can follow. Nodes: Each node represents a function. Arcs: Are directed arcs. Represents the invocation of a function from another function. Here is where the thing gets really interesting. After a lot of searching, I did not find any program made in Python that would allow us to obtain a CFG from a C source file, therefore, and as a way to learn how the Clang internals work, I decided to program it myself. 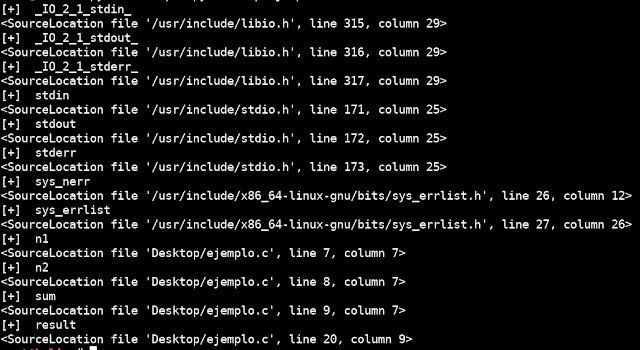 For this, I was very influenced by the way in which Clang builds its own CFG, a file that can be found here. In this way, I can interpret those generic cursors that the Python bindings had not yet implemented through the tokens obtained from the lexical analysis and I can assign them a concrete decorator. In this way I can represent all ANSI C although there were some constructs that the Python bindings had not implemented. Here you have the code that will travel through the AST and generate those concrete decorators for each of the constructions of the language. There you can see more advanced uses of python bindings as well as using the CFG built for the C programming language for your own projects. Finally, the call graph is built from the same base and in a much simpler way, soon I will create the repository where you can see the code. As I said at the beginning of the article, I created these programs a while ago when I was in the career as a way to learn, therefore, there are probably numerous architectural or style errors in them. Although I am going to work actively to solve them, any suggestion about it is more than well received. © 2019 Santiago Hernández. Powered by Blogger.